Choose target artifact or enchantment. Its owner shuffles it into his or her library. One more suggestion if you're trying to keep it competitive and as budget-friendly as possible = Tormod's Crypt x3 or 4 in the sideboard to deal with dredge and phoenix (and half the other decks in modern atm, lol). Obv Relic of Progenitus or even Grafdigger's Cage is usually a little better, but for the price Crypt can't be beat. 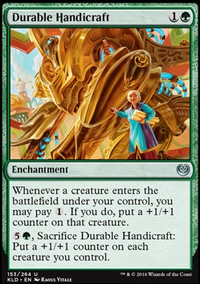 Oh, and Oxidize or Natural State are great budget sideboard cards for affinity (Oxidize gets past those annoying welding jar's and NS is the catch-all and hits ensnaring bridge). Unravel the Aether I sometimes use, too, since it's the only way to beat an early Wurmcoil..
All those cards should be a few pennies each online. I actually have an Azusa deck on my profile I want some feedback on too, lmfao Azusa, Lost but Woke. 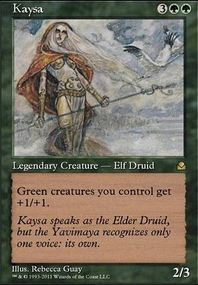 Going back to this discussion of Kamerot's deck, why Unravel the Aether? 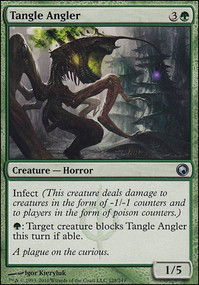 Right off the bat there's some automatic includes I like to run in Golgari colors - those cards usually include some powerful effects that can effect the whole board with very little cost to you. 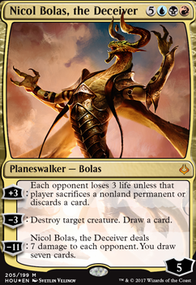 One of the biggest strengths black has is the ability to use what are referred to as Edict effects, which is a reference to a card called Diabolic Edict that forces your opponents to sacrifice creatures. This is powerful because no matter what you will trade a creature of yours for a creature of EACH opponent's - that's a one-for-three trade which gives you a sizable card advantage. Also sacrificing gets through pesky strategies like Indestructible or Hexproof from your opponents' commanders (chances are your opponents are going to try to protect their commanders very well). For creatures that can do this easily, ordered from most favorite to least, Plaguecrafter, Merciless Executioner/Fleshbag Marauder (they are identical), lastly Slum Reaper. Slum Reaper is a bit more expensive but it's useful if you need more consistency of killing enemy creatures. If you REALLY want to push your opponents' creatures Butcher of Malakir can make sure no creature stays on the battlefield for very long as long as you constantly have creatures to throw into the graveyard. You also have options in enchantments that can do this effect as well. Grave Pact and Dictate of Erebos are solid options, but should only be seriously considered if you're focusing on a sacrifice theme. Secondly, I like adding sacrifice outlets. They are powerful additions that give you an out whenever you're dealing with targeted or mass creature removal. Ideally you want your sacrifice outlets to be free, so cards like Ashnod's Altar, Altar of Dementia, Carrion Feeder, and Viscera Seer will make sure you never get nothing from a creature dying on your side of the battlefield. Other options that can play well with Vhati il-Dal are Phyrexian Plaguelord who can turn your creatures into a -1/-1 for a creature that you weaken with Vhati's activated ability. 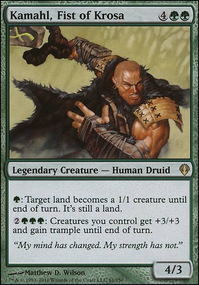 If you're going with a creature-focused combat damage strategy Evolutionary Leap and Mycoloth are good options to trade your weaker creatures for more powerful options. These are all just some ideas I hope they help you tone the deck into the direction you want it to go into. If it uses the word target at all it targets. 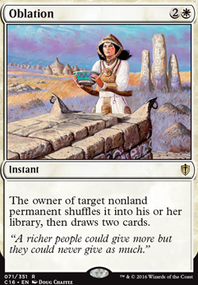 The specific phrase "choose target" is in the Oricle text of 59 cards. It is used when a single effect performs multiple actions using the same set of targets (Capricious Efreet, Confiscation Coup, Time to Feed, etc) or when one player targets a permanent and another player performs an action on it (Unravel the Aether, Deglamer, Ashling, the Extinguisher, Vaevictis Asmadi, the Dire, etc).